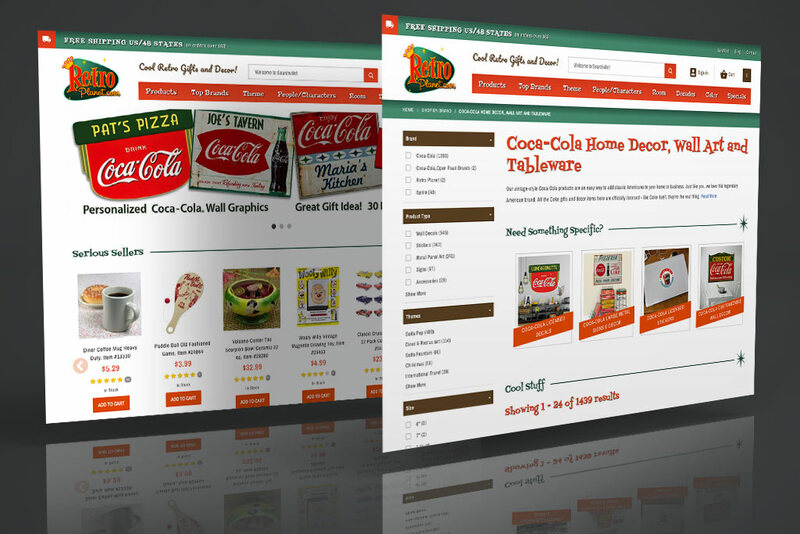 Retro Planet’s database of 100,000+ products needed an upgrade; not only to make it easier for the shopper to find what they were looking for, but also for the store owner to maintain. The site needed a modernized interface including categories, payment methods, and an easier checkout and account creation to reduce abandoned shopping carts. Old modules needed to be removed or updated to increase conversions. The shipping estimator, mini basket, and checkout process also needed enhancing. The website’s user interface needed an updated contact us form, account creation process, wishlist, waitlist, and easier newsletter sign-up form for the shopper. 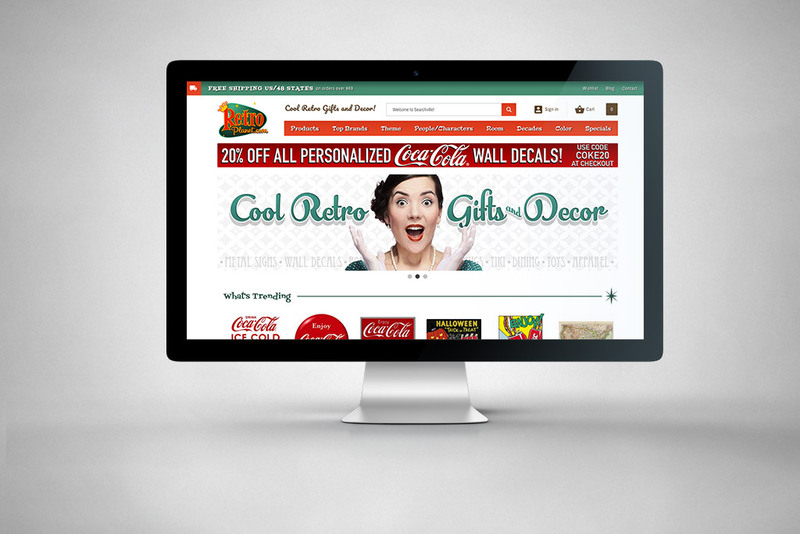 The older website was tedious for the store owner to maintain and made future upgrades impossible. 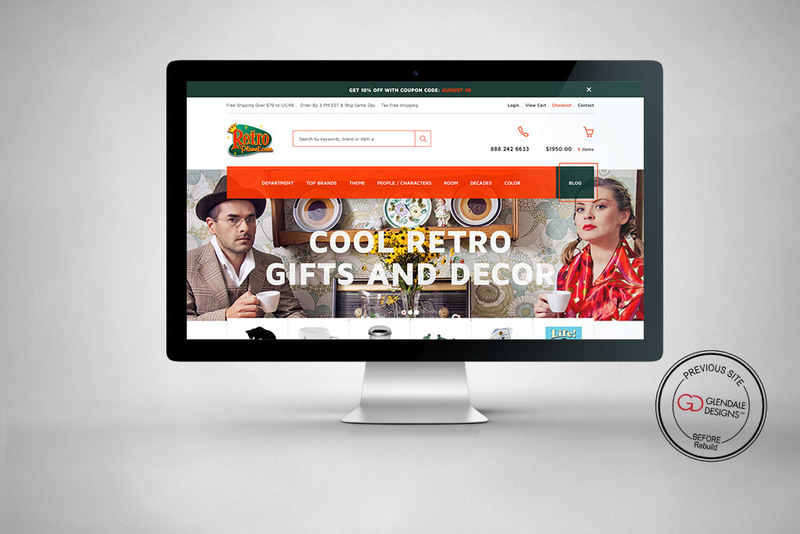 The website was lacking a cohesive look and some of the pages needed to be updated to match Retro’s brand and theme. 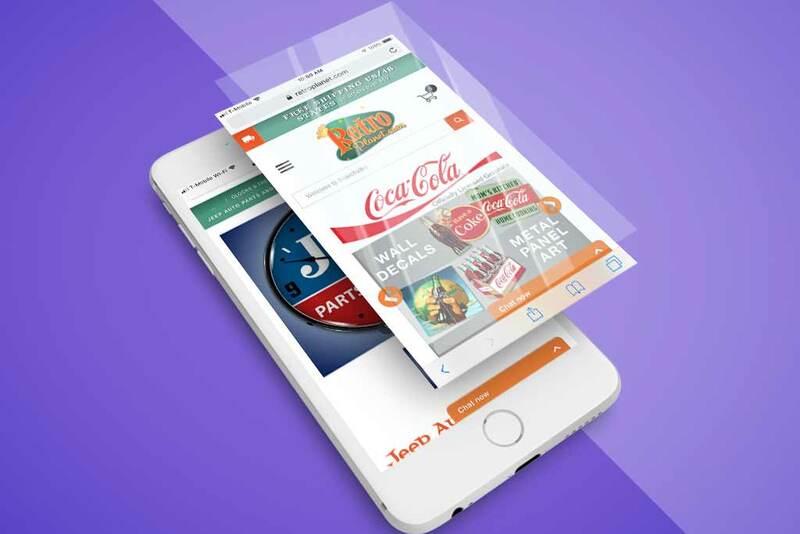 The older mobile site wasn’t converting and was missing some of the basic functionality that mobile shoppers are used to. 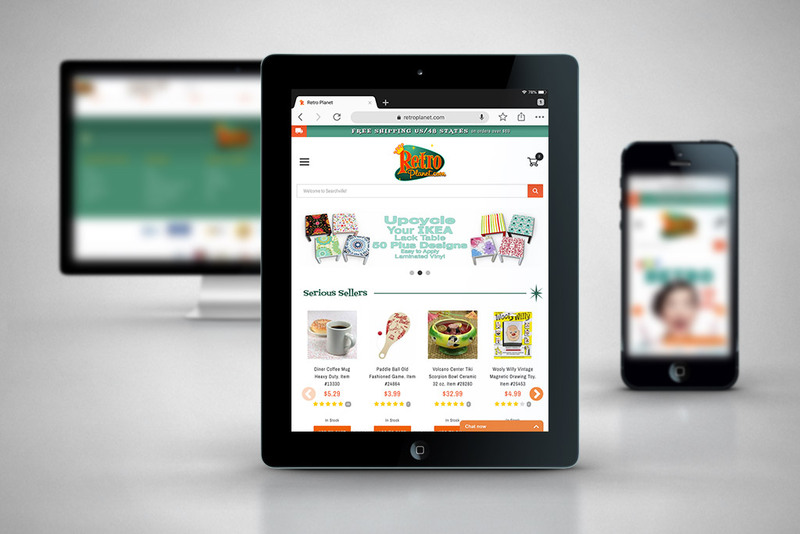 The solution was to create a responsive site that would help convert shoppers to buyers on any device while giving the site an updated look. Website pages saw a large improvement: product videos were better integrated, a custom 404/product-not-found page now offers customers better access to additional products instead of leading them nowhere, and the reviews page was given a better layout. Improvements included the addition of volume pricing and sale pricing displays. The contact us form was significantly upgraded and the account creation process was modified making it a much simpler ordering and checkout process for the customer. Glendale’s team updated the overall look and feel of the website creating a shopping experience that was optimized and had improved functionality. 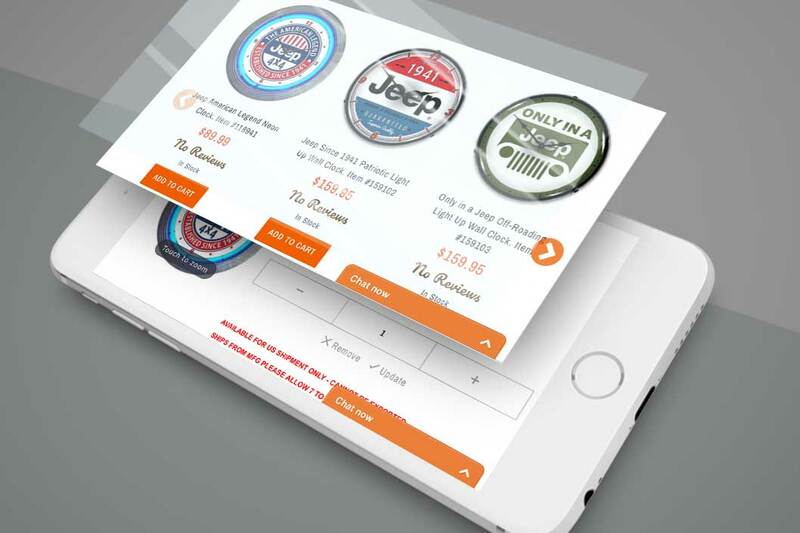 The latest Miva Elements framework was customized with “extensions” to include Ajax for the add to cart on the category and product pages, an enhanced home page slider app, and an intelligent “back to top” button for easier mobile use. The improved mega menu, category landing pages with thumbnails, and scrolling categories feature the website’s large product line in a layout that is easy for shoppers to navigate. The standard ReadyTheme checkout was greatly improved and optimized for a pleasant checkout experience for the customer. The mini basket, shipping estimator, shopping cart, wishlist and account pages were all updated to include improved functionality and fonts to keep with the ‘retro’ feel of the store. Many automated features were integrated to make the large database easier to manage including automating free shipping promotions and newsletter signup. Navigation bars, banners, images, and other parts of the user interface were modified so they can be easily maintained by the store owner. Inventory was integrated and synched directly to the client’s in-house inventory system. Other improvements included transferring data from an old waitlist module to the newer integrated version and custom implementation of Searchspring’s category facet filters. The latest security fraud features were added so shoppers will feel confident in their shopping experience. Payment methods including ApplePay, AmazonPay, PayPal Express, PayPal Pro, and the latest Braintree payment gateways, were integrated giving shoppers a variety of payment options. 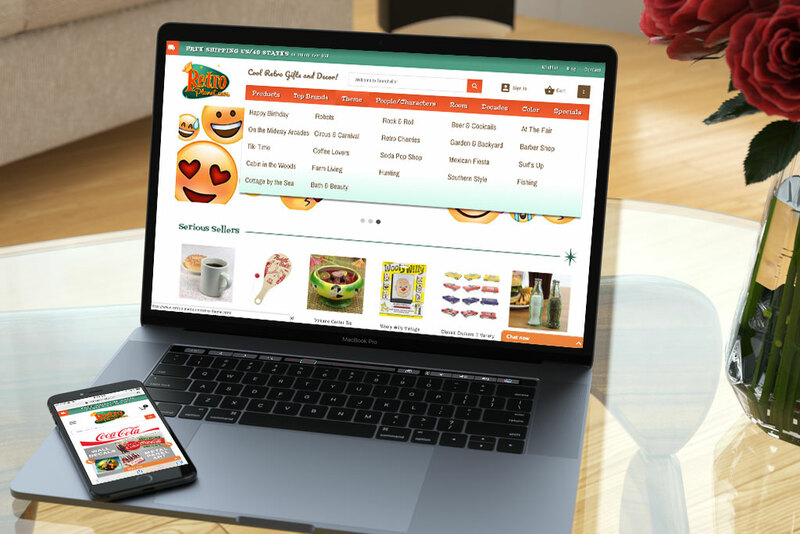 The final project was completed with additional testing, bug fixes, and user interface tweaks to the standard ReadyTheme to ensure an overall pleasant shopping experience. They experienced a 20% increase in revenues and a 46.63% in post launch conversion rate from the pervious year. 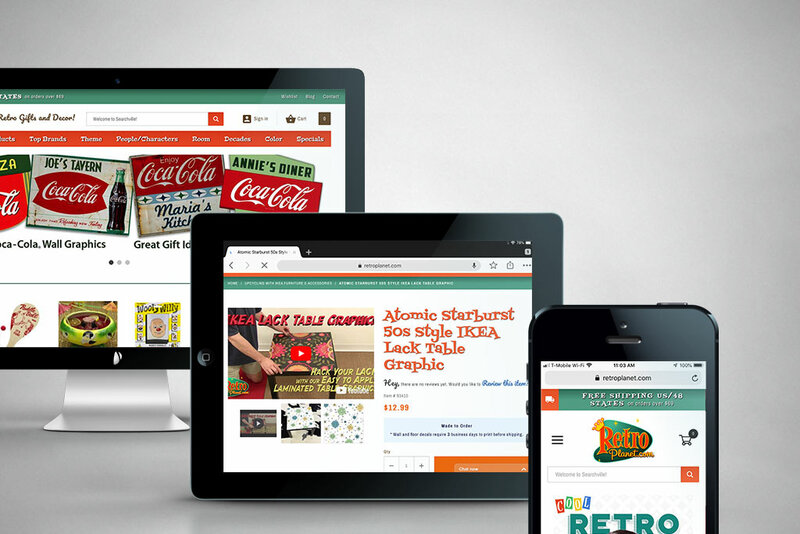 Retro Planet’s site was in need of a facelift. 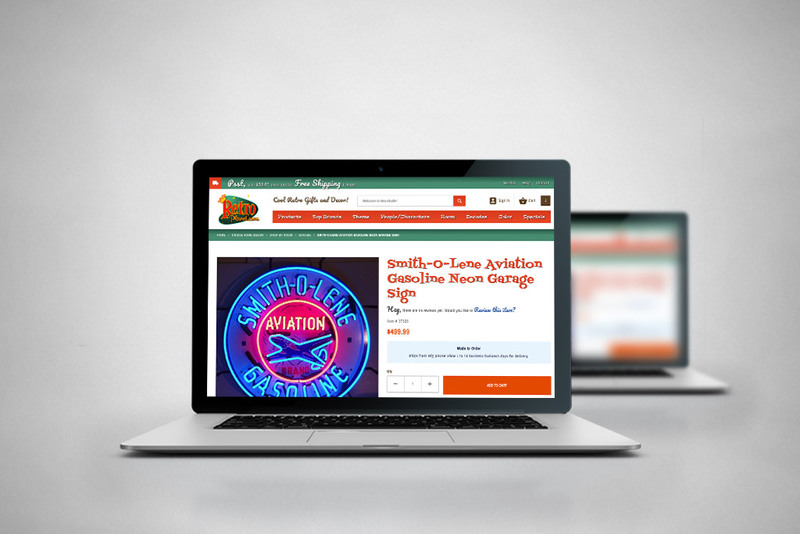 Glendale Designs came to our rescue and created a fun responsive look and feel. Functionality improved tremendously and our extremely sad mobile site is now responsive and our sales/conversions increased immediately (50% conversion rate increase). Can’t say enough about working with the Glendale Designs team. Professional, prompt, detailed and also fun!